Amy has practised exclusively in Family Law for her entire career and has extensive experience in property and children’s matters. 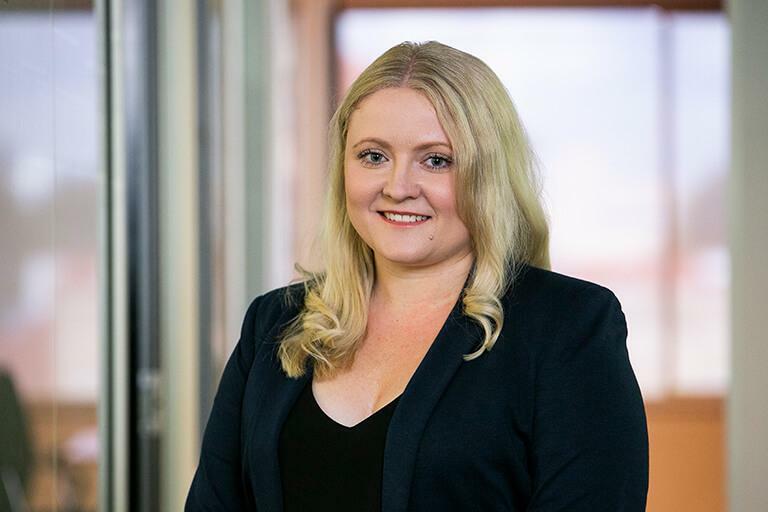 Amy is passionate about helping her clients reach an amicable and fair resolution to the issues that arise following the breakdown of a marriage or de-facto relationship by taking a practical approach to settling matters. A divorce or separation is one of the most traumatic events a person can experience and Amy is focused on ensuring that her clients can transition as smoothly as possible into the next phase of their life. Outside of work, Amy enjoys spending time with her husband and two dogs. She loves travelling overseas, especially to Europe. Weston & Laurent  FamCAFC 34 – Successful Appeal in the Full Court of the Family Court of Australia, Sydney -Children – Procedural Fairness – Access to Single Expert notes. Representing international clients with respect to both financial and children’s cases and specifically providing advice on registering an overseas child support agreement with the Child Support Agency in Australia and an international relocation involving children. Drafting and advising on Binding Financial Agreements and Binding Child Support Agreements. Successfully represented a client in financial proceedings where leave to proceed undefended was obtained and the client was wholly successful in the Orders they sought.